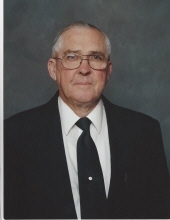 Dale N. Muddiman, age 83, husband to Imogean Wright Muddiman of Sadieville, passed away Friday, January 11, 2019 at the UK Bluegrass Hospice Care Center in Lexington, Kentucky. He was born on September 27, 1935 to the late Rufus and Hazel Eades Muddiman in Georgetown, Kentucky. He retired as a machinist from Eastlex Machine Cooperation in Lexington, was a U.S. Army Veteran and was a pastor at Baptist churches in Owen and Scott County. Beside his wife of 61 years, Dale is survived by his daughter Tammy Muddiman and son Terry (Sarah) Muddiman, both of Sadieville, 7 grandchildren, Caitlyn Turner, Austin (Judith) Turner, Kaeli Muddiman, Cheyenne Muddiman, Elijah Muddiman, Dakota Grimes and Kentucky Muddiman, 4 great grandchildren, Caden, Kali, Makiya, and Hugh. He is also survived by a sister, Nancy (Ernie) Barron of Lexington, a sister-in-law, Lois Muddiman, nieces, Melissa (Mike) Gabbard of Paris, Kathy (Dean) Rogers of Stanton, Janie (Ray) Wechman , Linda Ball, both of Georgetown and nephews, Alan Sutherland and Gregory (Pam) Muddiman, both of Georgetown. He was preceded in death by his brother, Thomas B. Muddiman. Visitation for Dale will be Monday, January 14, 2019 from 5 to 8 at Tucker, Yocum & Wilson Funeral Home. Funeral Services will be 2pm, Tuesday, at the funeral home with Brother Patrick Prather and Brother Andy Dixon officiating. Burial will follow the service at Crestlawn Memorial Gardens will pallbearers being, Dewey Gibson, Alan Sutherland, Greg Muddiman, Elijah Muddiman, Dakota Grimes and Austin Turner. Honorary bearers will be James "Woody" Eades, Dean Rogers, Andy Hisle and Ray Wechman. To send flowers or a remembrance gift to the family of Dale N. Muddiman, please visit our Tribute Store. "Email Address" would like to share the life celebration of Dale N. Muddiman. Click on the "link" to go to share a favorite memory or leave a condolence message for the family.